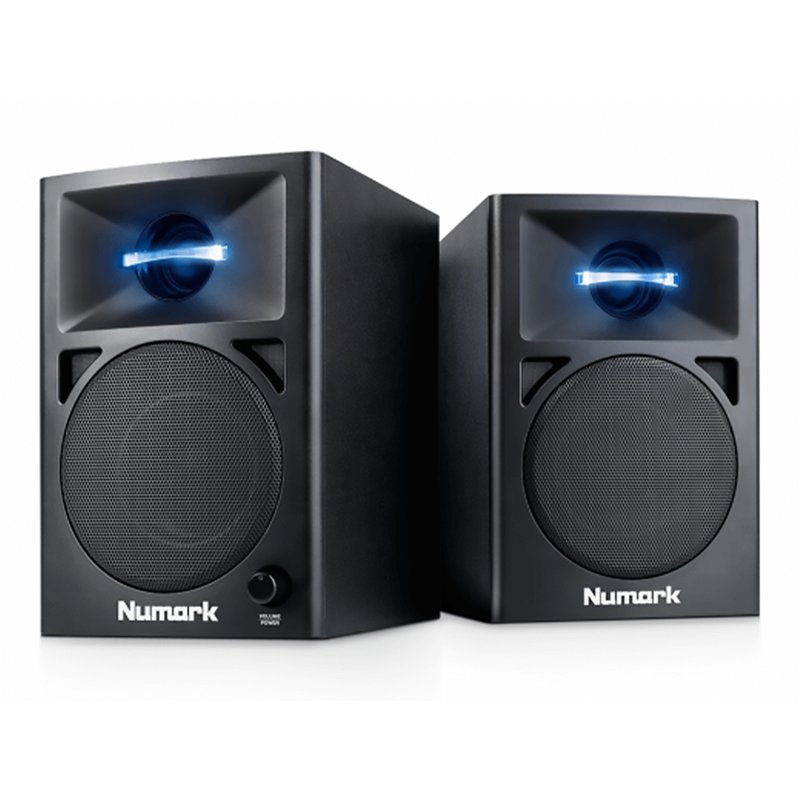 Designed to offer the bedroom DJ impressive sound in a compact format, the N-Wave 360 system includes two matched speaker cabinets. Each cabinet contains a 1" silk dome tweeter—with blue LED illumination—matched with a 3" woofer via a precision crossover circuit. The onboard amplification system can deliver up to 60 Watts of peak power. 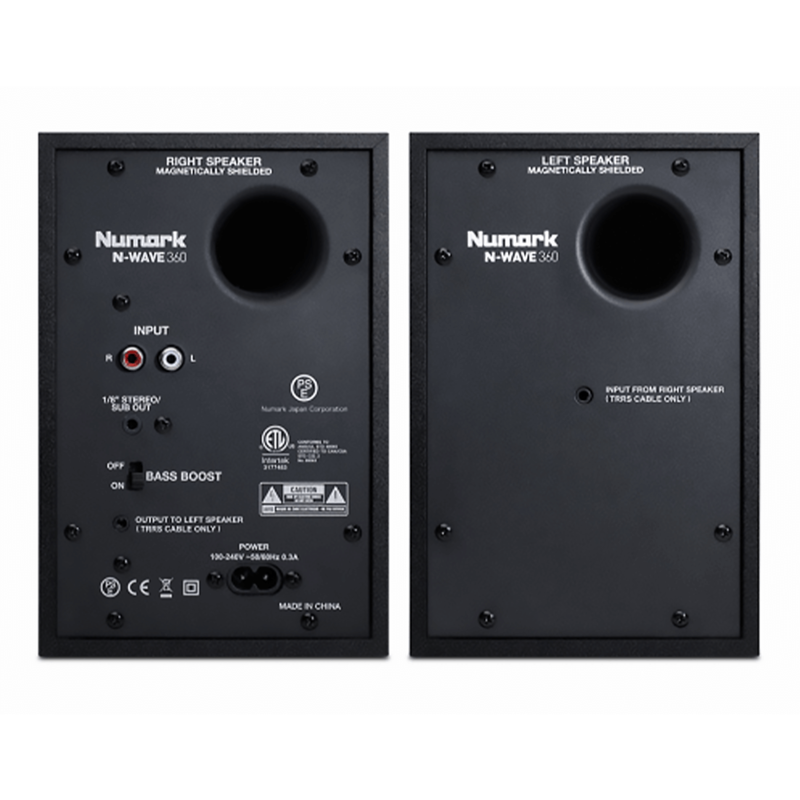 For those users needing a more low-end punch, an electronic bass-boost circuit is provided, as well as a subwoofer output that can be used to add a powered subwoofer to the N-Wave 360 monitoring system.